Having established what kind of animal forms my protagonist Willow the Vampire is going to take, I can turn my attention to the antagonist of my story. What type of creature might serve such a villain? Unlike other vampire storytellers, I have linked my vampire realm with that of the Vikings, so I’m turning to the mythology of the Norse sagas for my inspiration. Their world of mythological creatures includes Odin’s eight-legged horse Sleipnir, Fenrir the Wolf, trolls, dragons and all manner of bizarre monsters that live in Niflheim, the underworld. There’s Nidhogg for example, a wicked serpent type dragon that’s cheerfully nibbling away at the great world tree Yggdrasil, or Hel, a giantess ruler of the underworld, where the sinners and wrongdoers end up and where monsters dwell. There are also dwarves (Dvergar) and elves (Álfar), as well as a plethora of gods and goddesses. What about Jörmungandr, a sea-serpent that’s not unlike the German depiction of a “Lindwurm”, a type of elongated, snake-like dragon? 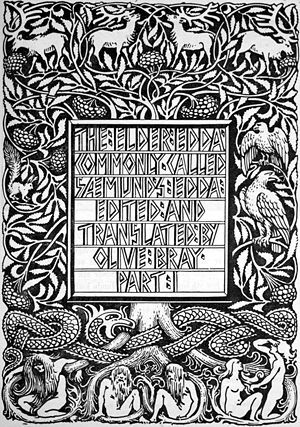 Or Huginn and Muninn, two ravens which belong to the god Odin, whom they keep informed of all that goes on in the nine worlds over which he rules? Odin also keeps two wolves, Freki and Geri; surprisingly, wolves seem to have a leg in each corner – Fenrir acts on the side of evil whereas Freki and Geri act on the side of good. As Willow’s journey into vampire heritage progresses, she will get to meet some pretty strange creatures of the night as well as doing battle with quite a few monsters. While the antagonist and his henchmen are strictly creatures of the night, Willow is a Child of Light. Some of her friends are human and can therefore move about during daylight. This calls for two types of go-between creatures, which can spy for either side and report back to the respective “generals” of the battle I’m preparing for Willow to enter into. Starting with one of the smallest creatures, Ratatoskr is the squirrel that climbs about in the branches of Yggdrasil. A squirrel seems quite a harmless creature, but this one is not as straightforward as it seems. Ratatoskr is a messenger between the eagle roosting on the very top of Yggdrasil and the tree’s roots, where Nidhogg dwells. Ratatoskr’s task is to repeat word for word to the serpent monster what the wise eagle up above has said; however, the clever squirrel doesn’t do as he’s told and winds up both mighty parties with slanderous gossip and lies in order to provoke both creatures. While two are arguing, the third does as he pleases! Many scholars believe the squirrel is a symbol for constant change in our existence – it upsets the status quo with its slander and lies; it gnaws away at Yggdrasil’s branches just like the Nidhogg. Nature is in perpetual change – so are we. Willow’s world is about to change beyond recognition; the familiar sight of a squirrel will be comforting at first…until the little scoundrel is unmasked and the truth revealed. Squirrels have the habit of squeaking high-pitched alarm calls when someone or something invades their territory. Modern scholars have argued that Vikings imagined squirrels to say malicious things behind their backs, so the role of messenger who keeps feuds between two opponents alive was assigned to the squirrel in the Viking’s mythological world. 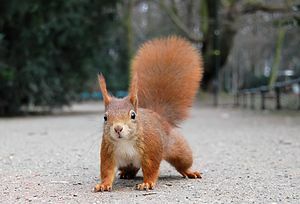 The red squirrel, which is likely to have been the inspiration for the scoundrel Ratatoskr, is an endangered species in the UK, which is mostly due to the introduction of the grey squirrel and also due to loss of habitat. Red squirrels are unobtrusive, inquisitive and full of natural mischief; it seems appropriate to insert a few of them into the rural landscape of Stinkforth-upon-Avon. 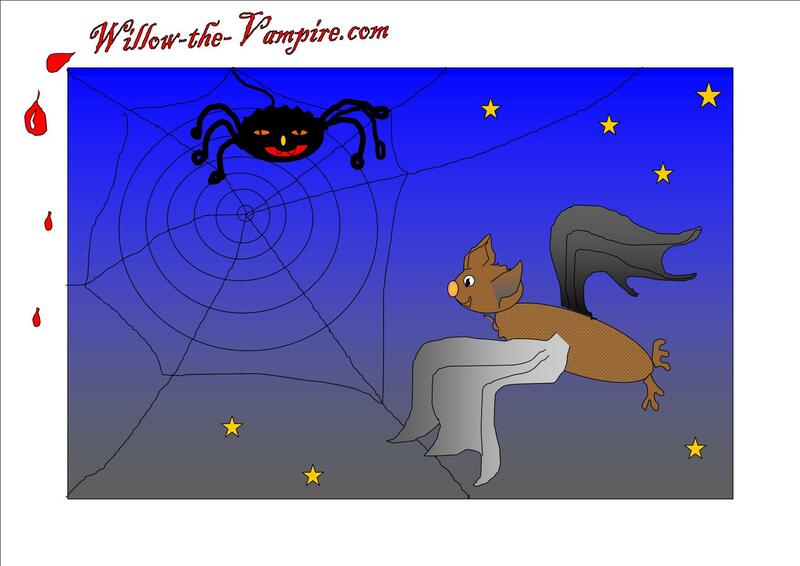 Since my antagonist will try to reason with Willow the Vampire first, before deciding on more drastic measures to get what he wants, he will need a spy to learn of her plans. As a daytime creature, the squirrel is ideal. It can spy on Willow and her friends, while the underworldlings sleep in their coffins and burrows. There you have it: Spy number one sorted (the name’s Squirrel…James Squirrel…her Majesty’s secret agent)! Hopefully in a couple of days, I’ll have found contender number two, a creature of the night suitable to spy on behalf of Willow and her friends. Totally fabulous. However, you do have a knack of putting the wind up me. Firstly, I read your wonderful book and it is set in a large rural village with vampires. This is my own real life setting so I now think that everyone I come across looks slighty hungry for my neck. I have just recovered from that and what happens – you bring these darned squirrels in which spy upon people. Squirrels are rife here. I often find one sitting above my head (in a tree). Does this mean that our fictional worlds’ are coming to life? We both have very dodgy ravens in our books. There is a large community of massive black flying things which nest in the trees at the side of the church and fly around the church tower ominously. Yours in earnest, Sincerely Worried! Dear Sincerely Worried from rural Londonia, the aforementioned squirrels are entirely a creature of my imagination and there has been no, as far as I’m aware, report of killer squirrels in your area, although the photograph of my blog post today shows a rare snapshot of James Squirrel, out on HRM’s business. Literary agents and publishers are rumoured to emply spy squirrels in rural areas, where rising stars among the children & YA writer community are often based, but until this can be verified, you should simply bribe the squirrel above your head with hazlenuts or unsalted peanuts (in shells). Naturally, I cannot vouch for the inhabitants of your village – they may or may not turn out to be vampires. It all depends on the local availability of black pudding, politicians, bankers and insurance salesmen, all favourite snacks with vampire communities. If anyone should try to take a nibble out of your neck, call Willow the Vampire immediately on 02921 xxxxxx (number withheld until rescue fee has been agreed upon with Stakes R Us). Yours reassuringly.M. Dear Mysterious M, after your reply, I am positive that I am living in your book. Yesterday, I ventured out by the local railway station to the nearest market town. Whilst lounging in the old coffee shop with the aged mother, a woman with a bright green beehive hairstyle approached us and tried to tempt us to her lair – there were more of them hiding. We promised we would go a week on Saturday (it gives us time to stock up on garlic). She then approached an elderly man sitting in the corner and he proudly announced that he could not go because he would be sitting in a giant, glass snail. At this point, I gazed into my coffee cup wondering what they had put in it. All this is true, there is not a word of a lie. So, the next question is how do I get out of the book and escape into a normal life. Do you think it is at all possible? Yours earnestedly Sincerely Worried Pippi Longstocking fan. Dear Section Chief, I am utterly dismayed that I have to go through all these books before I can get out. I know Pippi was made of really stern stuff but I am merely a fan. I knew the green haired lady was dodgy – who could be more so than someone named Lady Veruca. I wonder if vampires would be frightened of my mother. I am not going to give my real name any more as I am now living undercover. So please use my code name of Baked Bean Lil from now on. You can recognise me with my floral apron, I’m trying to blend in with the scenery. Yours sincerely Baked Bean Lil. Speaking through the side of my mouth – I can’t speak at the moment – I am surrounded by “them” from rural Stinkforthshire. I am fighting them off with a wooden coathanger called George. Mother is behind me covering my rear with a floral rolling pin borrowed from the museum and never given back. Eddie has arrived and rather fancies me in my pinny – no it’s mother he has eyes for. We’ve decided to call a truce for the evening – I mentioned my home made eyeballs coated with marmite – they’re all coming back to mine. If you don’t hear from me in the next twenty four hours call the army in. Eddie had eyes for your mother??? What, in a bowl, boiled with parsley sauce or just deep fried? Don’t worry about him, he does like biting girls’ necks in case they think he’s a dirty ol’man. Just serve him a slice of fried black pudding and he’ll be happy. As for the others, Werther’s Originals usually get stuck in their fangs, so quite good method to keep them occupied while you hunt for a stake or two. Thank you! Although there are some little “spoilers” here, the story stretches across a number of books, so there won’t an en mass transformation into animals nor will it become apparent straight away that two animal groups are effectively spying for the opposition. 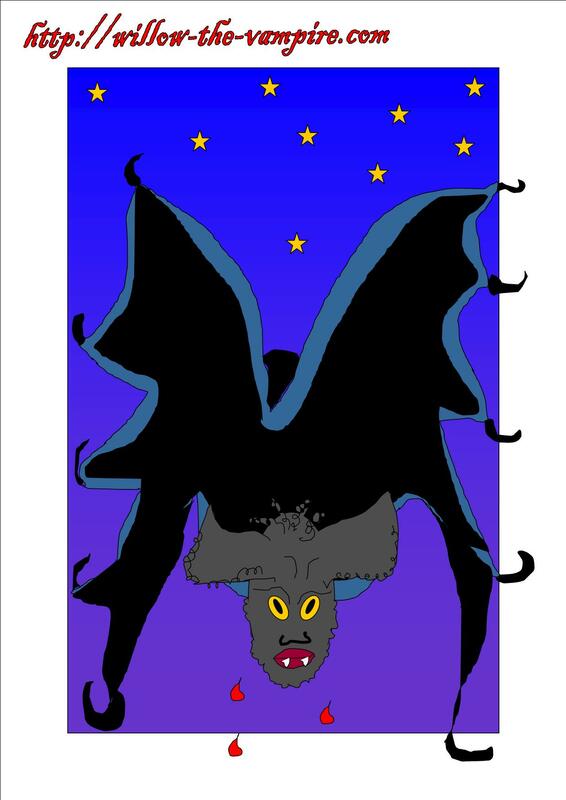 I thought it would be fun to unravel my thought process behind the plot development of a series, using creatures of the night as a metaphor for a number of things:0) most writers are a little weird!